Wilsons Auctions is the largest privately owned Auction Company in the UK and Northern Ireland. It is also the only member of the Society of Motor Auctions in the country. It is a family owned company which was started in 1936 by William J Wilson. The company is highly regarded and offers best services and value to both buyers and sellers alike with over dedicated 300 staff members. 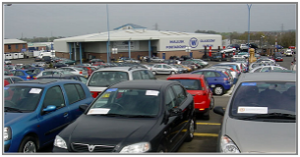 Let’s check all about Wilson Car Auction Belfast. Wilson Auctions operates 8 branches in Belfast. It holds over 1000 auctions yearly which include auction of cars, vans, property, machinery planes, yacht, luxurious watches, gym equipment, furniture, gold bars, designer items and much more. The company manages all the client processes related to auction staring from collection to auctioning of assets. Wilson is well known for its car auctions. It holds car auctions everyday at all of its branches. Anybody can sell and buy car in the auction. A wide range of cars are available in the auction; buyers can find cars to suit their budgets. Cars in the Wilson auction are from different sources such as major fleet users, motor dealers, financial institutions, government institutions, personal sellers etc. It is made simple to sell your car at the Wilson auction. You have to take the car to the company site a day before or on the day of auction before the auction starts. Fill up entry form providing your vehicle registration number, address and contact as instructed and sign it. You have to carry all the car documents and addition keys with it. You need to pay entrée fee. If your vehicle is sold in the auction, you will have to pay commission to them. The staff provides best customer service to both vendors and buyers. They provide all the services including valuation of the car. Wilson holds Liquidation and Disposal auctions weekly; you will find various new as well as old items in the auction. This auction takes place once a month; you will find high value good which will appeal you. The auction includes exciting items such as yacht, planes, watches, gold bars, jewelry, designer items etc. Wilson holds property auctions on a regular basis. All types of properties such as land, flats, commercial properties etc are found there.